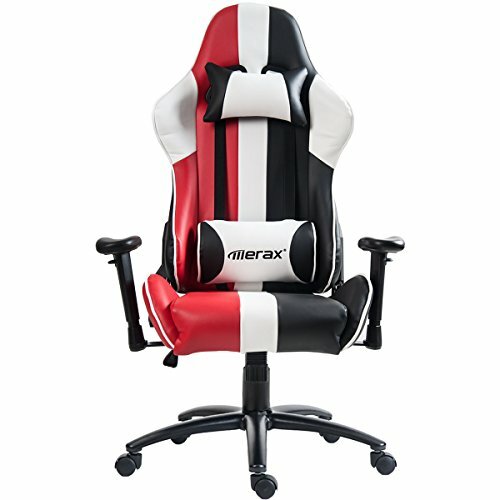 Upgrade your office chair with one that is as unique as you are with the Merax King Series, available in 2 vibrant colors on built-in mesh paneling. 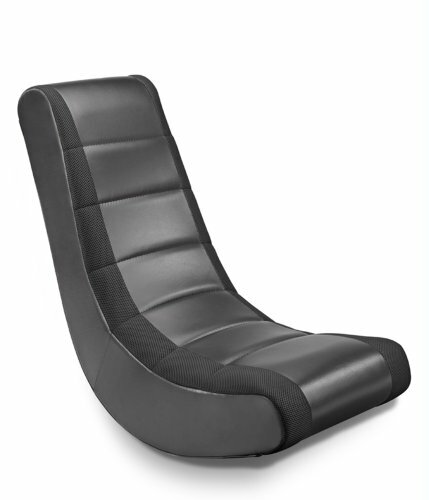 Made with sleek high grade PU leather that is double stitched and smooth to the touch, the onyx black outer design is complimented by a vivid soft mesh contoured bucket seat. 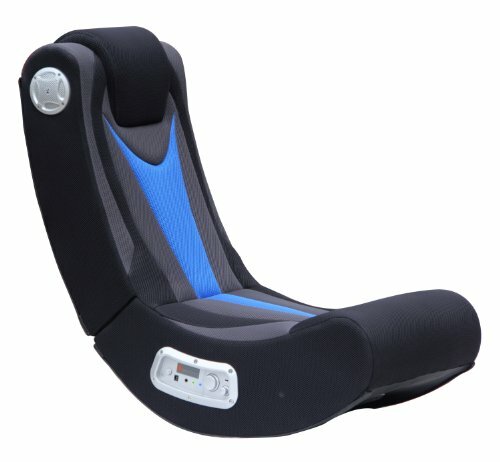 Enjoy optimum comfort with ample cushioning throughout the length of the chair and support on pressure points susceptible to aches and pains with double padding on the arm rests, head and neck rest and base seat. 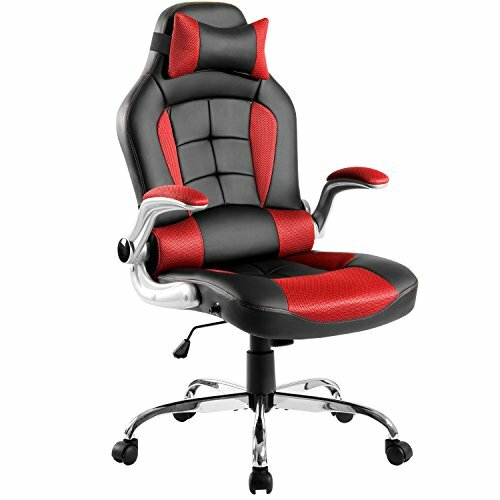 The King Series is the perfect starter chair with all the features you could need to help customize your seating experience: height adjuster, rocking system, chair tilt, tension control and 360 degree swivel. Utilize the built in locking feature to prevent tilting when you are in the zone, and unlock when you’re reading to lean back and relax or rock back and forth. Base smooth glide caster wheels allow for rolling on both carpet and hardwood allowing you to multi-task and navigate through your space without having to stand up. The King Series is the perfect affordable gaming or office essential, upgrade your space today. 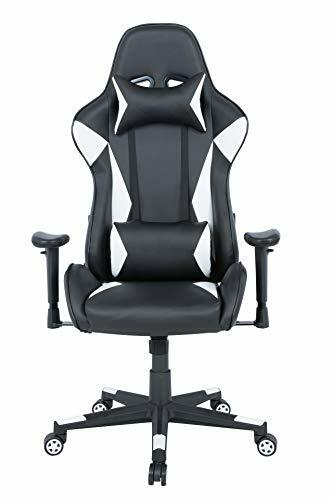 [Ergonomic Design]This ergonomic gaming chair conforms to your body shape for specialized comfort during long periods of sitting or intense gaming. 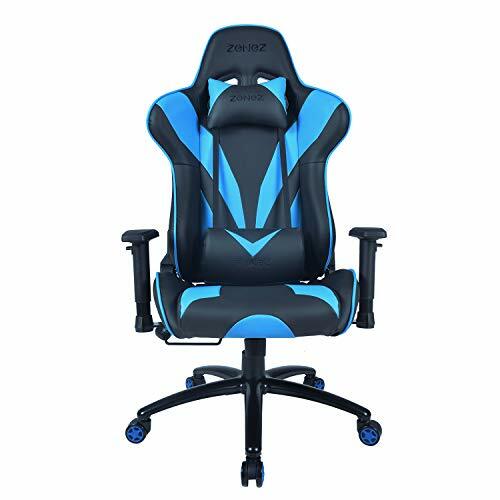 [PU Leather]Features breathable high-grade smooth PU leather, this high back recliner gaming chair present soft vivid mesh accents for long hours of play. 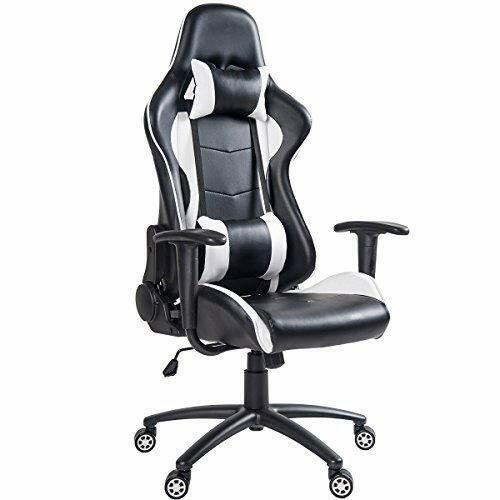 [Adjustable Armrests]Armrests designed to angle up to 160 degrees under the desk to save your spaces, while seat height adjustment and reclining function up to 175 degrees for napping like bed. 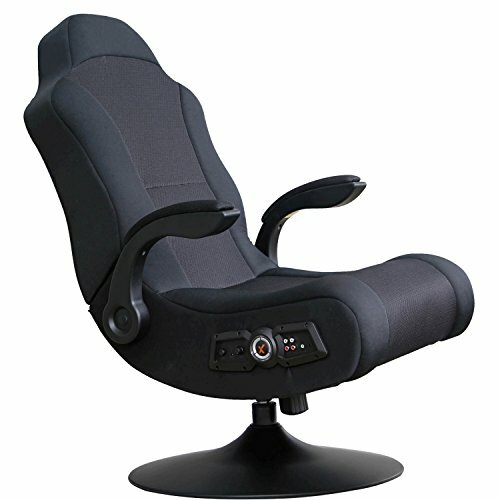 [High Density Foam]This office chair ergonomic coming with head pillow and lumbar pillow padded with high density foam for superior comfort.